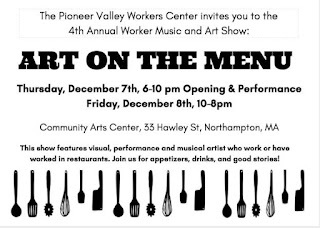 This show features performance, visual and musical artists who work or have worked in restaurants. Join us for appetizers, drinks, and good stories! Now more than ever we must defend the rights of low-wage and immigrant workers. Suggested donation: $0-60. All are welcome! No one will be turned away for lack of funds. 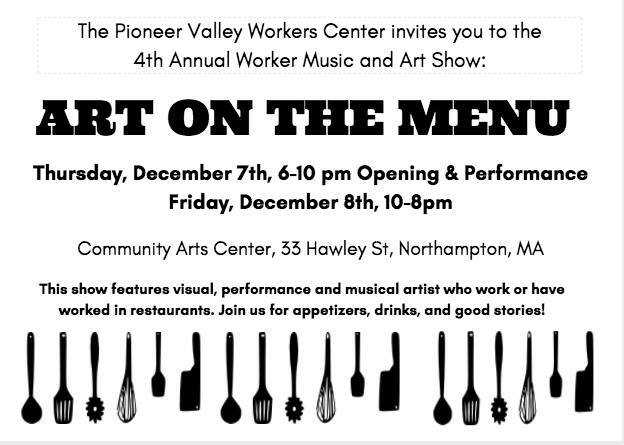 All funds will support the self-organization of low-wage workers and immigrants. Este show presenta las obras de músicos, artistas, y bailarinas que trabajan o han trabajado en restaurantes. Acompáñenos para una noche de aperitivos, bebidas y buenas historias. Ahora más que nunca, necesitamos defender los derechos de trabajadores inmigrantes. Aporte sugerido: $0-60. Tod@s estan bienvenidos. Nadie será rechazado por falta de fondos. Monte's March VIII steps off to help end hunger!